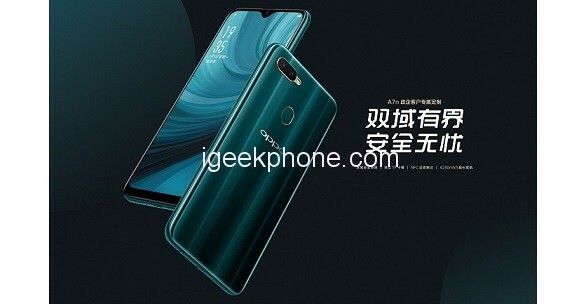 Chinese smartphone manufacturer OPPO has a new weapon. The company has just announced a new mid-range dr device in China. 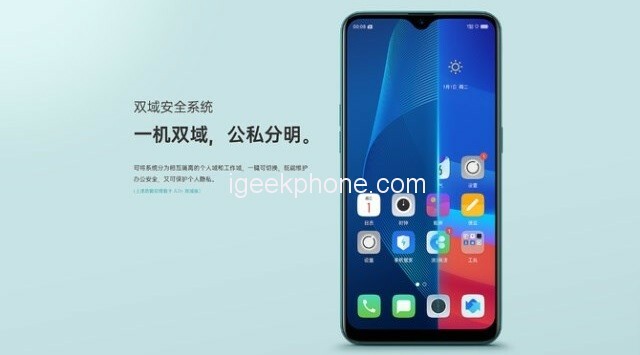 Dubbed the OPPO A7n, the new smartphone is a variant of the OPPO A5S announced in early February, sharing the same design as well as similar internal comps despite some changes. The OPPO A7n has a screen 1520 720 x 6.2 inches with a water drop slot, which allows a screen-to-body ratio of 88.3%, lateral bend 3D is made of a material that you gives incredible colors when light strikes it. The A5s has 3GB of RAM and an 8MP front camera, the new OPPO A7n receives 4GB of RAM and a 16MP front camera. As a bonus, the OPPO A7n supports NFC for payments and other services, as well as a dedicated button that allows you to switch between a private mode and a regular (public) mode. Everything else remains the same, including a dual rear camera configuration composed of a main 13MP sensor combined with 2MP, MediaTek Helio P35 chipset, 64GB expandable storage up to 256GB with a dedicated microSD slot and a generous 4,230mAh must guarantee a long period of use thanks to the chipset of low power consumption. Strangely, the device still comes with ColorOS 5.2.1 and Android Oreo. 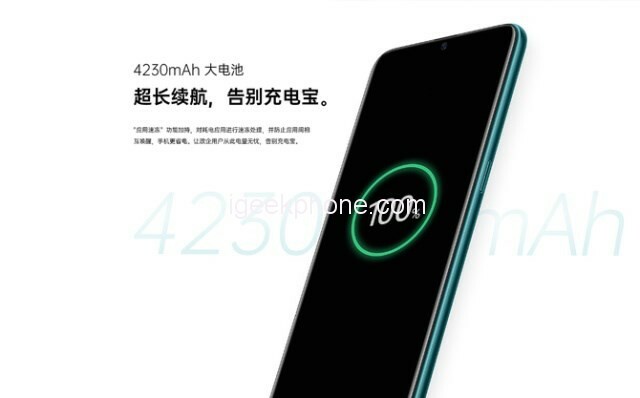 The Oppo A7n will be available in Lake Light Green color and should start selling in China at a suggested retail price of 1499 yuan (about $223).